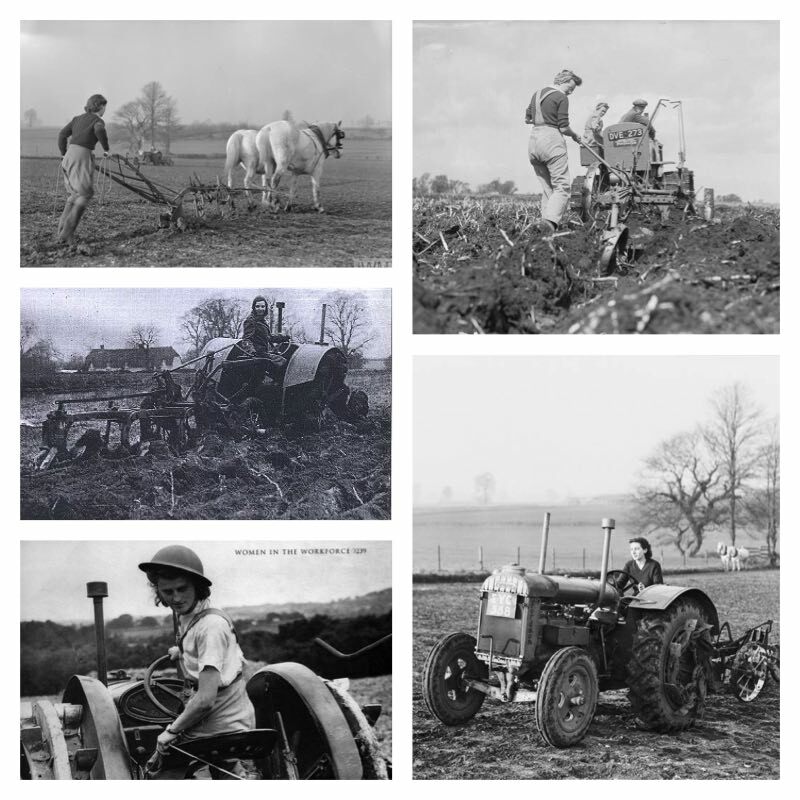 According to Snelling, ploughing was a skill which Land Girls had to learn by going out with the regular farmhands and watching their approach ‘on the job’. Even then it was difficult putting this into practice, especially when no fields were absolutely rectangular and the small ‘scooty’ bits of a field had to be furrowed separately. However, many Land Girls picked up this new skill and as Snelling comments, ‘Reversing trailers was second nature to me’. Not only did the skills Land Girls learn aid their work on the farms, but it also gave them other career prospects which they wouldn’t have previously had and could draw on after the war. 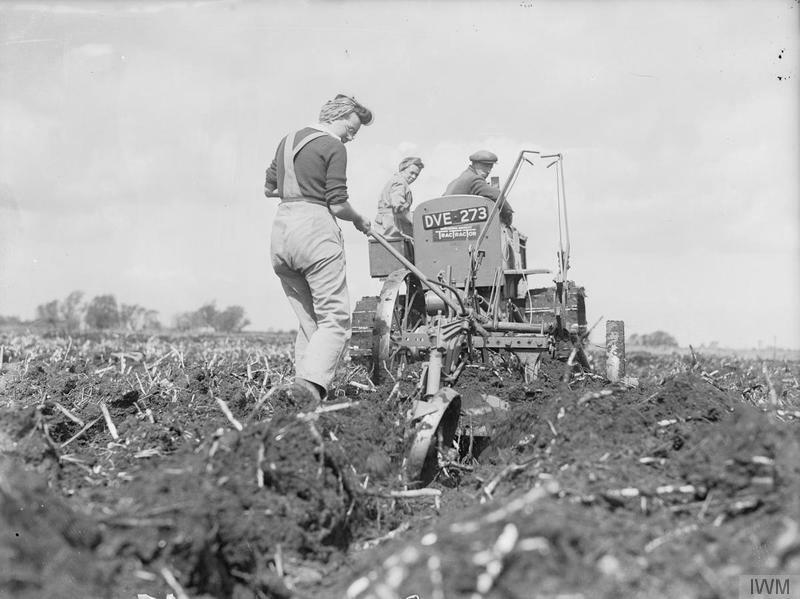 Members of the WLA help a farmer to plough reclaimed fenland in Cambridgeshire. The deep digger plough and International tractor being used are ploughing 15 inches deep. Please click on the collage above to be taken to the ‘October Farming Activity of the Month‘, which provides detail on each image.